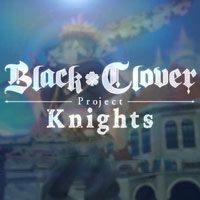 Black Clover: Quartet Knights is a video game adaptation of the Black Clover manga and anime by Yuki Tabata, developed by Bandai Namco. The game tells the story of a young boy called Asta, who lives in a deeply magical world, but has absolutely no magical abilities himself. Black Clover: Quartet Knights is a shooter game based on the Black Clover manga and anime by Yuki Tabata. The game was developed by Bandai Namco. Black Clover tells the story of a young boy named Asta, born in a world where everyone except him has magical abilities. Asta's lack of those is all the more painful because of the fact that his good friend, Yuno, with whom Asta has grown up together, is vastly talented in this field. When both boys turn 15, an old grimoire, which was supposed to be given to Yuno, is stolen. Soon, Asta receives a precious book with a five-leaf-clover sign, which allows him to use anti-magical powers. Asta and Yuno embark on a journey to hone their skills and fulfill their common dream: to become the Magic Emperor, the most powerful mage in the realm. Black Clover: Quartet Knights is set in the universe known from the manga and anime. The game is a competitive 3D shooter, which utilizes a third person's perspective. Interestingly, instead of firearms, you use a wide range of magical powers. The battles take place on large, varied arenas, where you can move freely. Each battle pits two teams of four people each against each other. The playable characters includes i.e. the manga and anime protagonists Asta and Yuno, as well as other Black Bulls members. The visuals of Black Clover: Quartet Knights were based on the anime, and the characters were rendered with the use of the cel-shading technique. The detailed locations also capture the style of the original work.